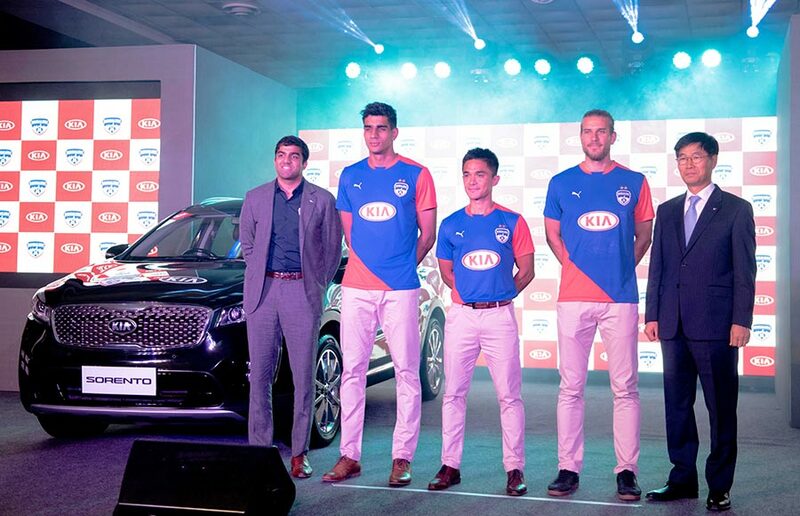 Kia Motors, the world’s 8th largest automaker, has announced an all-new partnership with Bengaluru Football Club as a principal sponsor for the ongoing season of the Indian Super League 2019 through to end of the 2021/22 season. 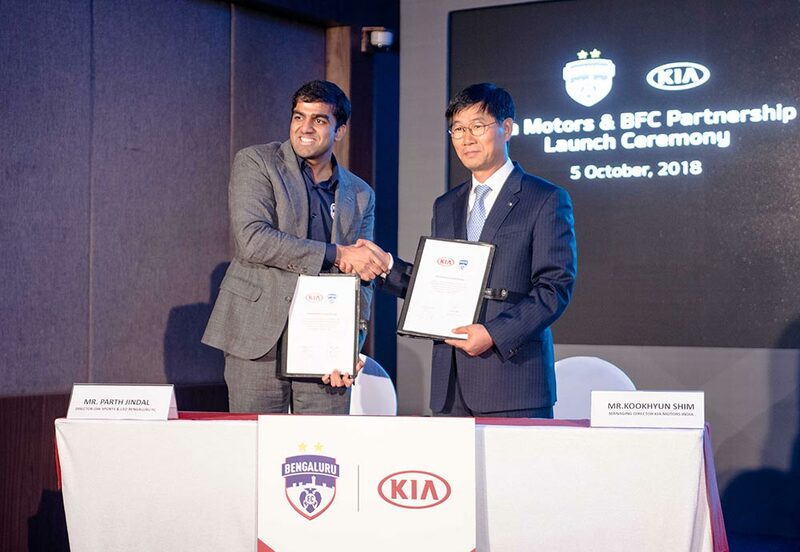 To formalize the partnership, Kia Motors India and Bengaluru Football Club signed a MoU (Memorandum of Understanding) for the four-year deal in the presence of Mr. Kookhyun Shim – MD & CEO, Kia Motors India and Mr. Parth Jindal – CEO, Bengaluru Football Club. As a part of this association, Kia Motors’ logo will feature on the front of the BFC jersey beginning from the game against Jamshedpur FC scheduled on Sunday (7th October). Bengaluru FC has been the most successful Indian club over the last five years, winning a major trophy once every season since its inception in 2013. In making the final of the Asian Football Confederation Cup (AFC CUP) in 2016, Bengaluru FC became the first club in Indian football history to reach the stage in continental competition. This partnership will be a major step forward for the Indian football community as two significant brands partner to build unforgettable fan experiences for millions of sports enthusiasts across the nation. Kia’s global sports sponsorship portfolio includes FIFA, UEFA Europa League, Australian Open, and LPGA, to name a few. 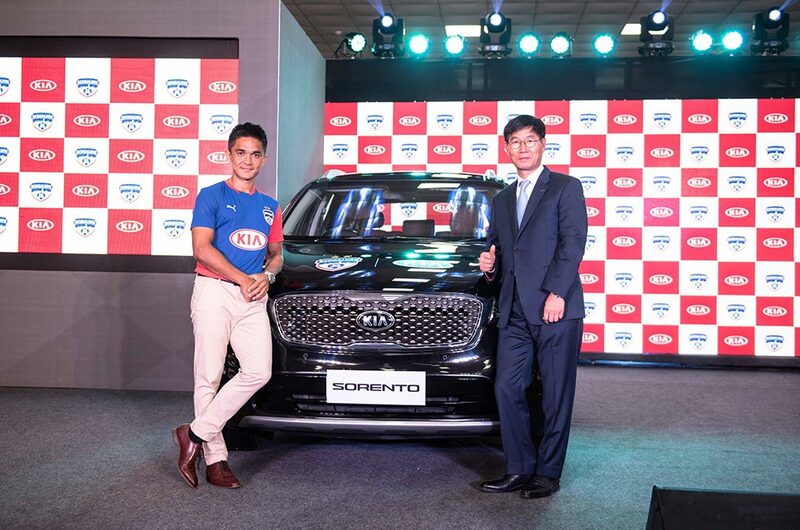 With Kia’s India brand launch scheduled for June 2019, the automaker has found the perfect partner in BFC to share its success story and vision, while strengthening community engagement, especially among young fans. said Mr. Parth Jindal – CEO Bengaluru Football Club. For Kia Motors India, this partnership is also a great step towards encouraging sports in India after a successful FIFA Official Match Ball Carrier (FIFA OMBC) program which gave India its first-ever Official Match Ball Carriers for the FIFA World Cup 2018 in Russia. 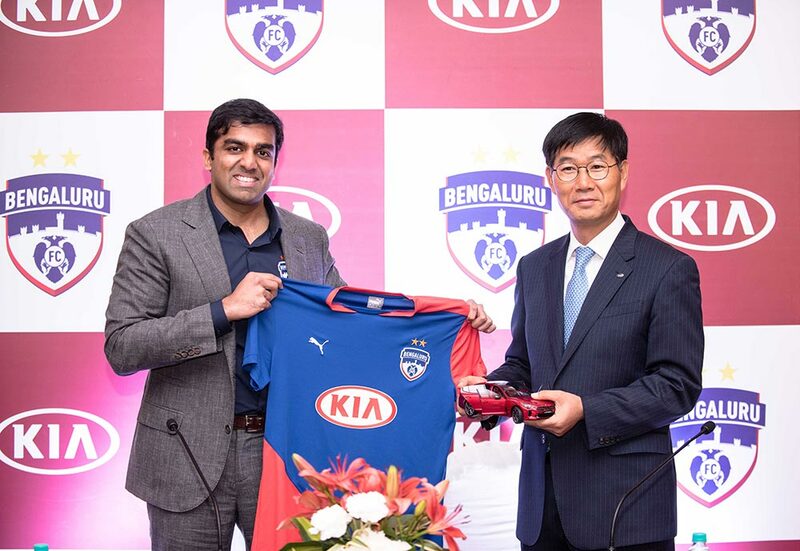 Kia as a brand is young-at-heart and this partnership with Bengaluru FC reiterates the brand’s belief in the power of football to build communities and enhance consumer lifestyles beyond automobiles. We at Kia, are as passionate about sports as we are about our world class cars. Our past and current partnerships with different sporting championships across the world are a clear sign of our enthusiasm for sports. As we extend this legacy to India, we aim to foster and inspire youngsters in the country to become a part of the global sports community. We are proud to associate with one of the most consistently successful teams in the ISL – Bengaluru FC, and we look forward to an excellent season with memorable experiences for millions of football enthusiasts throughout India. I have been a part of the Bengaluru FC’s growth story from day one; we have taken big steps with every passing season. This association says so much about the club’s intent to grow, Kia has been a global ambassador of football and it was a real honor for me to be a part of the jury for Kia’s Official Match Ball Carrier Initiative where two kids were selected to be the first-ever Official Match Ball Carriers from India for the FIFA World Cup 2018. With this partnership, we are confident of encouraging and strengthening the rapidly evolving football community in India.